The following is a catalogue of the evidence not heard by the original jury, some known at the time and some discovered subsequent to the trial. The jury did not hear that Paul Oakley, a sixteen year old next door neighbour, had been attracted to his bedroom window by the sound of voices at approximately 1-1.30am on the night of the murder. From his window he saw a dark red car parked outside the house where the murder occurred. The car's lights were on and its engine was running but it was without occupants and remained there for about fifteen minutes. The car became the object of a large-scale search but neither it nor its occupants were ever identified. Neither did the jury hear of a second sighting, by a Mr Williams, of a car 'cruising' in the area with three occupants at approximately the same time as the above. The jury was not told of three colourless fibres, one red fibre and one grey hair found on the hand of the victim. The police unhelpfully labelled this exhibit 'hairs', and it was not picked up by the defence. The police later admitted that they had not been able to match these fibres to any of Susan's clothes. The jury did not know that two unidentified footmarks were found in the rear porch, the murderer's point of entry. The jury was not told of a footmark found in an upstairs wardrobe that gave a match to a local criminal who said he had thrown his trainers away three days before. The jury was not aware that an unidentified fingerprint was found on the wall at the top of the stairs. The jury did not hear of the unidentified fingerprint on the wall just outside the room where the murder had occurred. The jury did not hear that the sister of a local violent burglar had told the police that her brother had spoken to her of the murder before Susan had discovered the body the next day. This evidence was incorrectly filed and so not known about by Susan's defence. The jury was unaware that two unconnected people had implicated another known violent burglar with the murder. One was a girl friend and the other a parent. Two drug addict friends gave this burglar his alibi. The jury was told that 'three, and only three,' bloodstains had been found on the wall adjacent to the victim. These stains constituted the 'main plank' of the prosecution's case. They did not hear of the fourth stain that was also found, of which it was said that it had been there prior to the murder. The jury did not hear of the paper bag that contained bloody meat scraps and had stained finger marks on the outside. This item would have provided the jury with an innocent source for the fingerprint belonging to Susan. The police had said that they did not know of any innocent source from which Susan could have got blood on her hands. Found after Susan had become the prime suspect, this potentially pivotal exhibit was unhelpfully labelled 'Craftsman Baker Paper Bag' and so went un-noticed by the defence. The jury did not know that the forensic scientist who first identified the 'three' stains as blood was of such character that he would be discredited. He mischievously amended his contemporaneous notes to include records of tests on the three stains on the first day of the investigation. When asked for his records at appeal stage he criminally forged a test record document. The prosecution asked for his evidence to be 'set aside' at the second appeal. The jury did not know that the police officer in charge of the investigation was of such character that he would be found guilty by his own force and the PCA of breaking police interview procedures by interviewing Susan without cautioning her when she had become his prime suspect. He obtained two pieces of evidence central to the prosecution case in this illegal way. The jury did not hear that Mrs D Oakley, the deceased's next door neighbour, on entering the house with Susan to phone for an ambulance had to instruct Susan to stop touching things. Susan's memory was that she did not think that she had touched anything subsequent to discovering the body. That she could not remember was used against her. N.B. If she could have 'remembered' the whole case against her would have fallen apart. 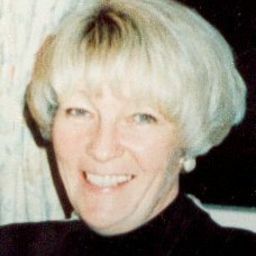 The jury did not read PC Ogden's notebook record of his conversation with Susan about the injuries to her aunt's face that had led to her death. Such references to specific injuries received by her aunt undermine the police's claim that Susan could only have known of certain injuries if she had been the murderer. The jury did not know that there was no independent evidence to support the claim that the third stain was not caused by the police when they touched the body. It is not shown on the video footage, it was not photographed with the first two stains, the prosecution could find no-one, other than the discredited policeman and forensic team, who had seen it on the first day. That this stain tested positive for human blood allowed the police to 'suggest' that the first two stains were human blood also. This stain would later be found to be the blood of the deceased. The jury did not know that every test for the presence of blood that would be carried out on the stain with Susan's fingerprint in subsequent to the trial has had a negative result, i.e., not blood at all. Both prosecution and defence experts have carried out these tests. The jury did not hear of the contemporaneous notes of a telephone conversation between the two discredited men mentioned above made twelve days after the murder in which the police officer asked the forensic scientist if "the blood was wet" when he arrived on the first morning. He was informed that it had been wet. Never-the-less the police officer said on oath at trial that he had touched the blood on the face as well as the blood that was on the pillow when he first went into the house on the day the body was discovered and he testified that he had found it to be dry. This evidence was part of the 'main plank' of the prosecution's case. The jury were not made aware that the police, on scientists' advise, believed that the test for blood on the three stains carried out by Mr Hussain would be 'useless'. Despite this advice and belief the police and prosecution still relied on Mr Hussain's test results before the jury. The jury was not told that Susan had pointed out that one or two chequebooks were missing. They were led to believe that nothing had been stolen. Subsequent to the trial some masonic items that had belonged to the deceased's dead husband were found in a builders skip in the locality. The jury did not see any photographs of the three stains (said to be blood) as they appeared at the time they were found. The stains were said to be 'faint' by all who saw them in their untreated state. As well as initial fingerprint analysis they were subsequently to undergo three chemical enhancement processes. The first process turned the stains blue, the second turned them purple and the third turned them dark brown. It was a photograph of this dark brown chemical residue that was shown to the jury and the judge, completely misrepresenting their true original appearance. The jury did not hear evidence from any expert forensic witnesses for the defense. They would have disqualified, qualified and balanced the prosecution expert witnesses evidence. The jury did not hear the fifty character references volunteered by people who personally knew Susan to be a caring, non-violent person. According to the trial judge Susan's good character would have been her best defence. The jury did not even hear the judge's summing up arguments clearly. According to the trial transcript the judge became 'inaudible' some fifteen times, most of which were during his summing up of the defence's case.